So many of us grew up together at the Y. 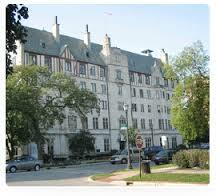 Growing up in Evanston, the YMCA was an important place to all of us. Starting with Little Women in grade school, through Tri- High in high school, the Y programs and leadership had an influence on who I am today. I tell a story from my Y days that proves the point. Zenol carefully explained to me that as a leader among my peers, certain expectations came along with that position. Coming from a woman I revered, and wanted to please, this was a heady conversation. I have never forgot Zenol or her words to me. I am forever grateful to the YMCA, where I played sports, danced at the Plant Room, was a delegate for Youth and Government, and made life time friends. During college I worked one summer for the girl’s department at the Y. My last year at Camp Echo, after I married, I was the Asst. Director to Miss Zenol Moore. The girl that remains within me can make her way along Grove Street with the large Elm trees hanging over head, to the entrance of the Girl’s Department. Opening that door I can smell the chlorine from the pool, and find all the boys and girls who grew up on that corner of Maple & Grove. This entry was posted in AtoZ Blog Challenge April 2015 and tagged Evanston YMCA, Zenol Moore-Women & Girls Director. Bookmark the permalink. Great memories, which those of us of the same age can share. What a great memory! And kudos to Ms. Moore for reminding you of your responsibility. Would that more adults would do that today! I often pass the Evanston Y. When our kids were younger we lived in West Rogers Park and our kids went to the Y on Touhy Avenue, mostly for basketball games. Good memories. Was that the Leaning Tower Y? No, the Leaning Tower Y is out in Niles. This one was called the High Ridge Y, I think, and it’s in Chicago. My stepfather had been a Jesuit, and when he went on leave of absence (essentially to wait for his release from the priesthood), he lived at the Evanston Y, unless I’m mistaken. Nice memory; it’s important to have advice from people we can look up to. I also agree with statement, where much is given, much is required. Stepheny, a nice tribute to someone who took time to make a difference in your life. These are the people we respect the most in life..those who can call us out with love. It’s a real art. Thank goodness for positive role models.